We knew the confrontation was coming. What I didn't exactly expect was how relatively quickly things would move once Wes gave in to start separating from his alpha. Two confrontations, one not witnessed, one in full view of staff and family, and then huge moves to get Wes and his children away from their abusive alpha. But what they don't realize is how much pain Wes carries on the inside. He opens up to Aiden about everything and Aiden is floored with just how much sorrow weighs on Wes' narrow shoulders. 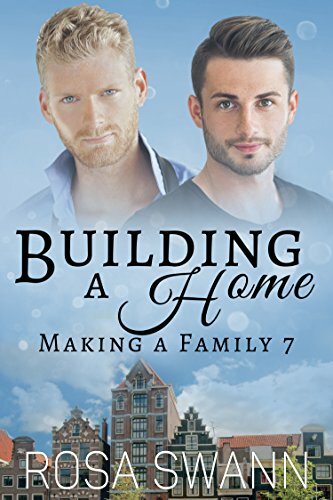 Determined to make their live better he and Clay decide that it's best for them to create a safe haven, a home for everyone. Finally feeling like Clay is truly needed and useful to his family he gets the ball rolling with saving Wes, finishing his large home, and setting up a meeting that will bring the truth, all the truths, out to his whole family. With everything in the open at last, they can all move toward complete healing, together. 3 stars. Unexpected news all around. With a support network that just seems to keep growing, especially when Clay and Wes' family are invited in, they find that help is only as far away as a text or a phone call. Clay is busy getting his house turned into a home and a safe place for Wes and his brood as well as his own growing family. 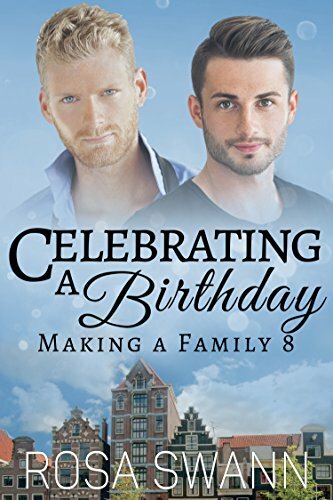 Aiden is finding that Clay is even more amazing than he was before with his patience, his insistence that he care for his whole family, his love, his wonderful heart that seems to keep growing and strengthening with each curve ball they're thrown. He's also realizing that he has some work to do with his own family. With Clay's example and support he comes clean to his own parents. He can finally do some healing of his own. He's thrown for a loop, though, when they meet with his doctor. Surprises bring joy and happiness...until he's reminded of just how badly things can turn out when things go wrong. But when you're building a home there's no shortage of family to love you back to happiness. Wes as an omega and a friend, brings things back into perspective for Aiden and gives him the strength to share the good news alongside Clay with a full heart and an eye to a positive future. 3 stars. Continuing right where we left off we've got celebrations and preparations in abundance. And a surprise visit that threatens to derail it all. From the start we've known that Clay has heart and Aiden has the hearth. Together they make a home and a safe place for family. With their love for their families and then for one another they have created the ideal team to provide support, love, familiarity, comfort, and peace for all who need it. I liked the story but it was a bit weak compared to a lot of the story that came before. Since I don't know what's coming next I can't say for sure if this didn't need its own episode in the serial but the content felt like it dragged a bit. The unexpected guest was the biggest event in this part of the story by far and it stirred up a lot of feelings that I felt were slightly exaggerated. With Aiden's fragile emotional state the timing couldn't really have been worse to have this fall in his lap so I can understand his upset but it also opened a way for other family members to strengthen their own roles of love and support for the main couple. 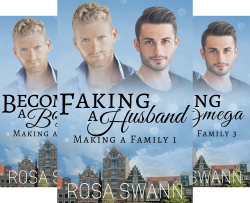 They've all done something, especially Wes and Sterling's contingency, but their roles are slightly changing as the entire family dynamic faces upcoming changes. I'm looking forward to see where things are headed. 2.5 stars. Aiden is finally growing into his strength. His determination and will are more present here and despite the anxiety that birthing twins can cause, he's still focused and strong. I'm finally seeing him in his full capacity to be a true partner to Clay. Clay is ever supportive and loving and tender toward his mate. I love that he's so willing to show his love and desire for Aiden at every chance he gets no matter the audience. His devotion is absolutely wonderful. I also really enjoyed seeing his anxiety, fear, and uncertainty when things start really happening with Aiden's labor because that's reality. No matter how deeply we love our partners when something outside of anyone's control happens to them we feel more than just safe, happy, and secure, we feel all the darker sides of those emotions because we're a whole person with multifaceted feelings. This was still a much softer episode in their story because of the miracle of Danny and Mikey, the holidays, the warmth of family, and the abounding love between everyone in their lives. 3.5 stars. Love, sweetness, change, acceptance, freedom. This is an excellent ending for a sweet and sometimes harrowing journey for Clay and Aiden's family. 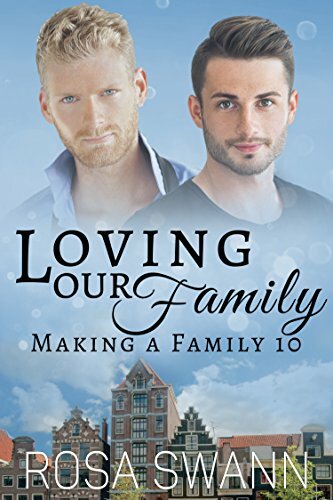 With Wes' difficult life, Aiden's struggles, Clay's eyes opening, Zeke's changes, and all the children in between and around them, their family's story has had its many ups and downs. As the series comes to a close we get resolution for every part of their adventure. What the story ends with is hope and love. Freedom and happiness that comes from respect, healing, and acceptance. After so many obstacles ranging from excruciating to a bump in the road all the hope in this book makes surviving it all much more rewarding because of the bitter that came before the sweet. 3.5 stars.